Zoom offers a multi-level Security model. From the basics of Scheduling to secure Infrastructure hosting, your privacy and confidentiality are of the highest importance. There are a couple features you can access when you’re scheduling your meeting to make it more secure. Password Protection: password protect your meetings by clicking “Require meeting password” and entering an alphanumeric password when you schedule your meeting. The password is automatically populated in the calendar invitation. This means that only people with both the meeting ID and password can join your meeting. Join Before Host: When scheduling, you can also choose to not select Join before the host. If you don’t select this option, no one can join the meeting without you being there to start the meeting. This gives you greater control over the meeting. If you let people join before the host, you still get an email when they join, notifying you that they are in your meeting room. If nothing else, it’s a great last-minute reminder when you forget a meeting, that your participants are waiting for you! 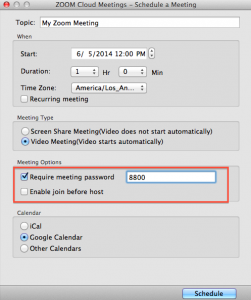 Lock the Meeting: when you’re in the meeting, click Participants at the bottom of your Zoom window. In the participants pop-up box, you will see a button that says Lock Meeting. When you lock the meeting, no new participants can join, even if they have the meeting ID and password. Expel a Participant: still in that participants' menu, you can mouse over a participant’s name, and several options will appear, including Remove. Click that to kick a participant out of the meeting. They can’t get back in if you then click Lock Meeting. Other host controls include locking screen-sharing, enabling/disabling participant recording, and disabling in-meeting chat. Encryption: Zoom secures session content by encrypting the web communications channel to https://zoom.us. Zoom also supports SSL/TLS (port 443) network-layer communications between the Zoom app and the multimedia router, as well as NIST AES 128 application-layer encryption. Post-Meeting Security: Once the meeting is over, no session information is retained on the Zoom routers or on any participant’s devices. If a meeting is recorded, the recording is located on that customer’s local machine. 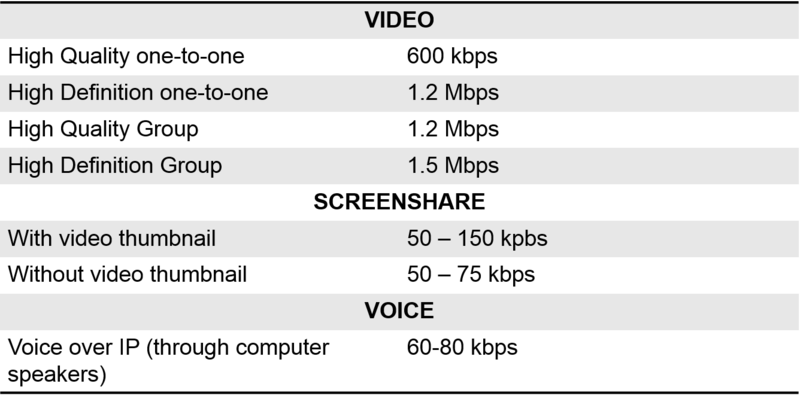 Zoom communications infrastructure does not store any recorded content. Zoom 1. How do I Sign up to Zoom?